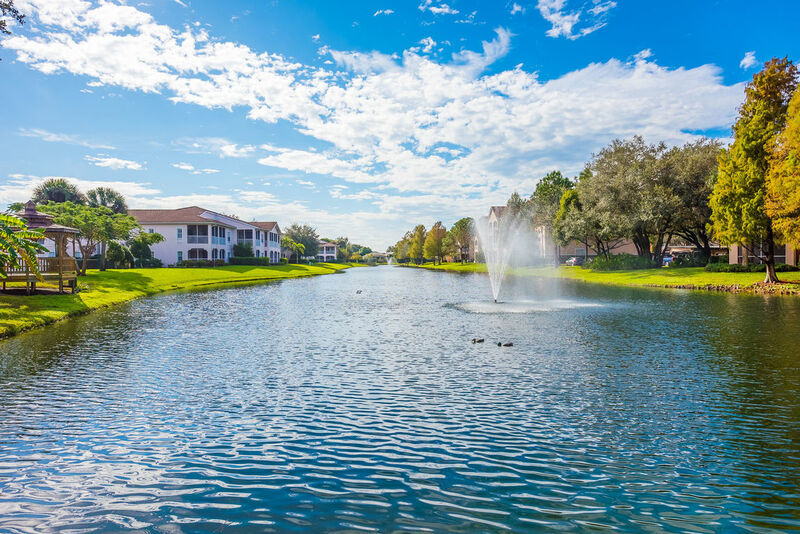 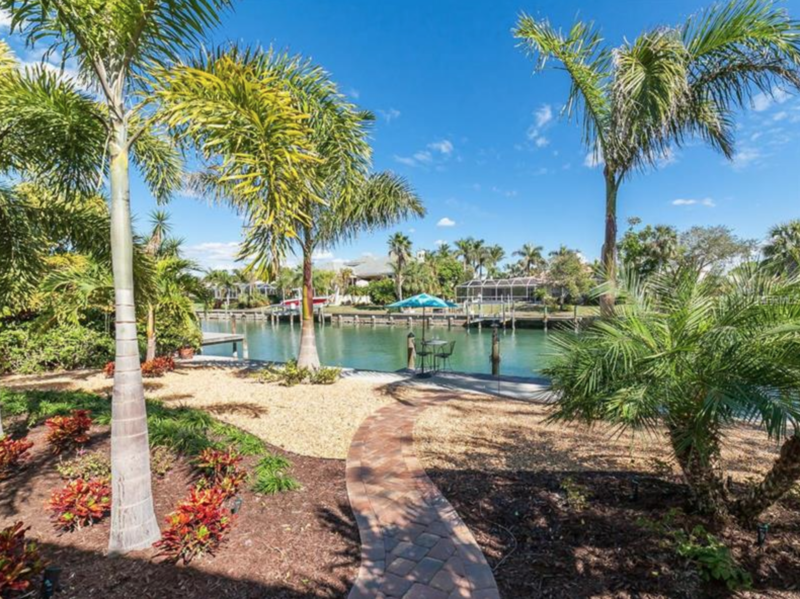 This updated canal-front gem is the epitome of charm and sophistication! The elegant wrought iron garden gate leads you through a covered foyer into a vast living room with 12 ft cathedral ceilings. This stunning residence offers an efficient and rare 5-bedroom floorplan with decadent details throughout. 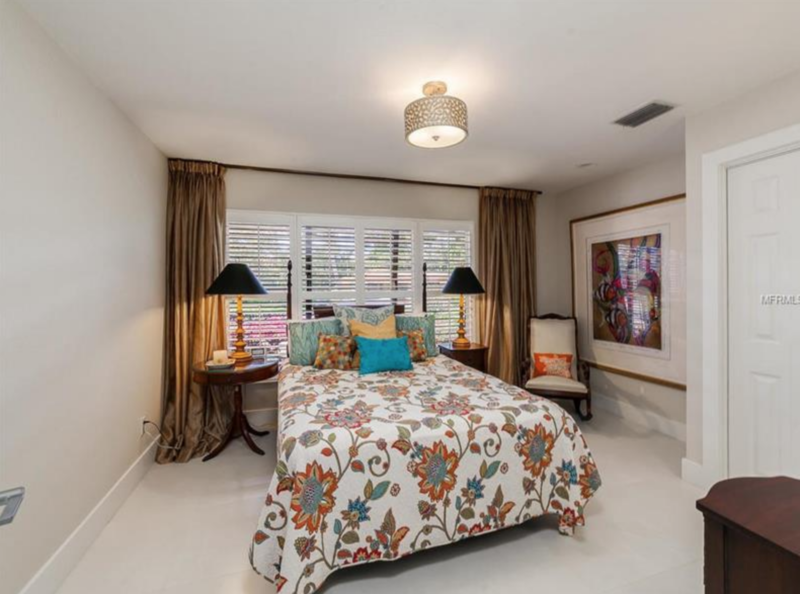 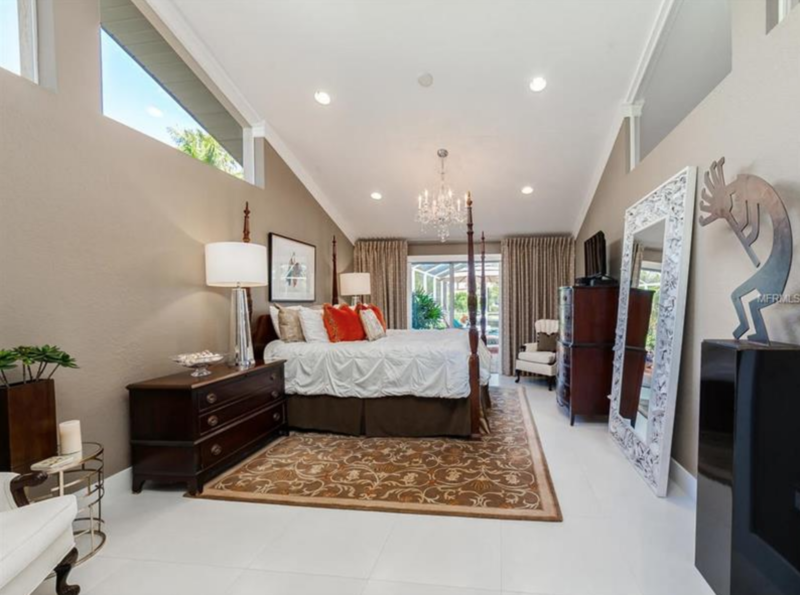 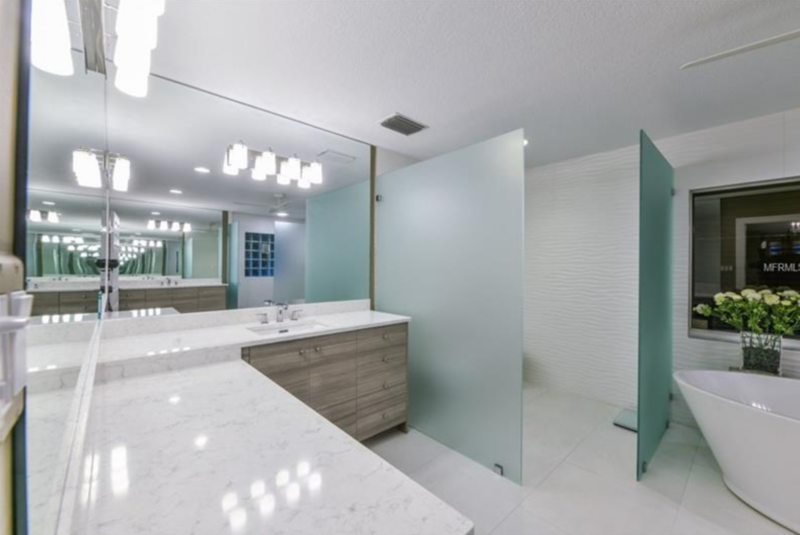 The soaring ceilings continue through to the expansive master suite and feature vaulted windows, a sleek master bathroom, and two spacious walk-in closets. 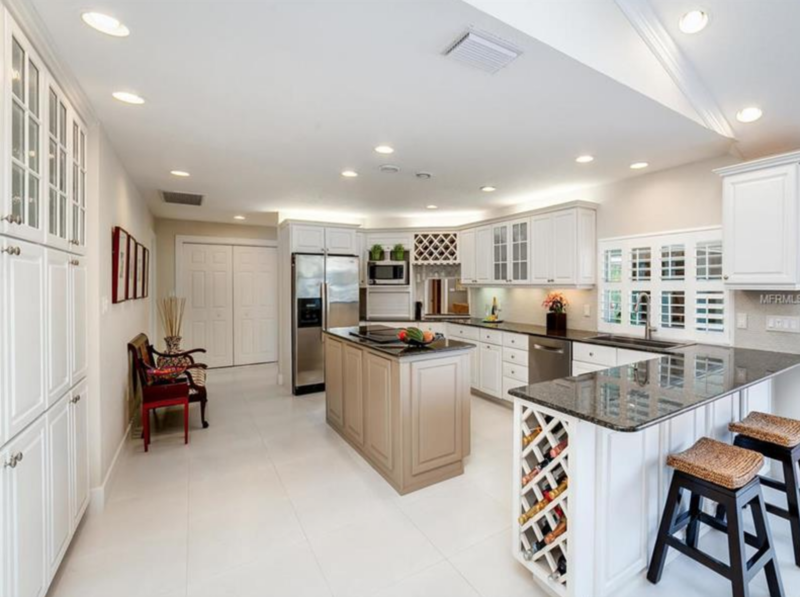 The kitchen is classic and timeless, most recently updated in 2016 with all white cabinetry and gray/black finishes, granite countertops, and stainless-steel appliances. 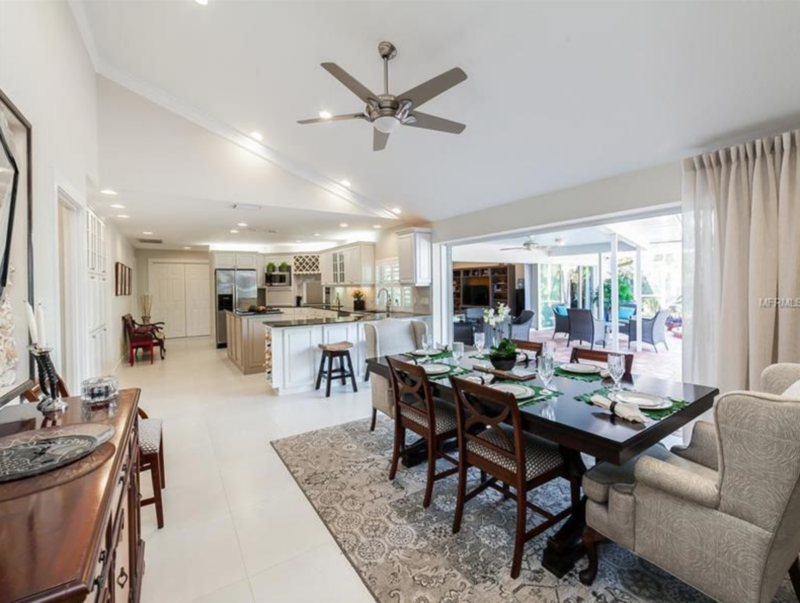 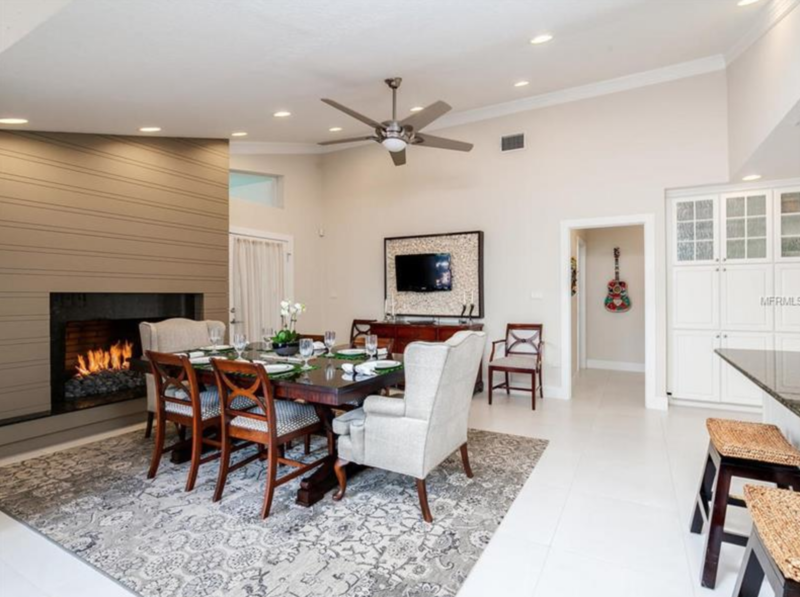 The formal dining room could also be used as a family room, featuring a beautiful gas fireplace and disappearing sliders leading to the covered lanai. 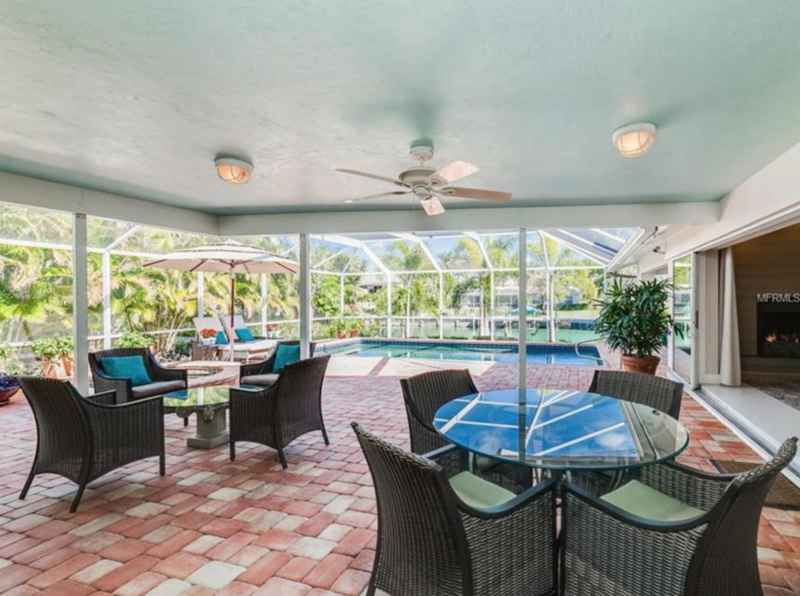 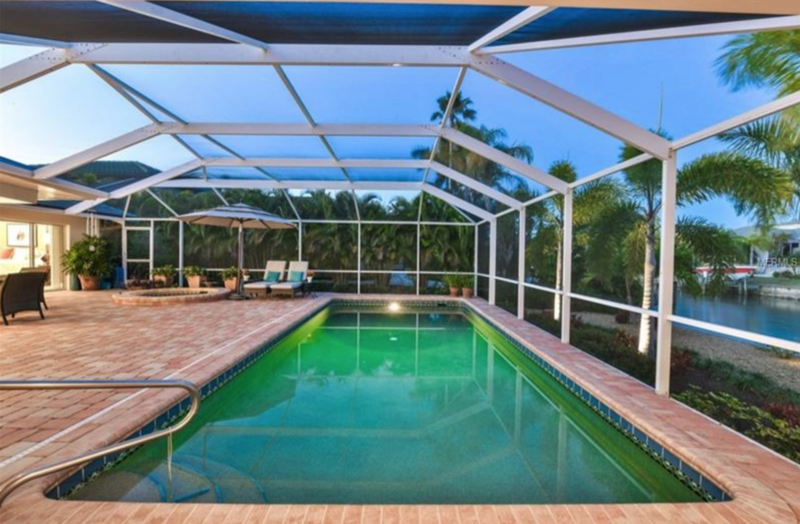 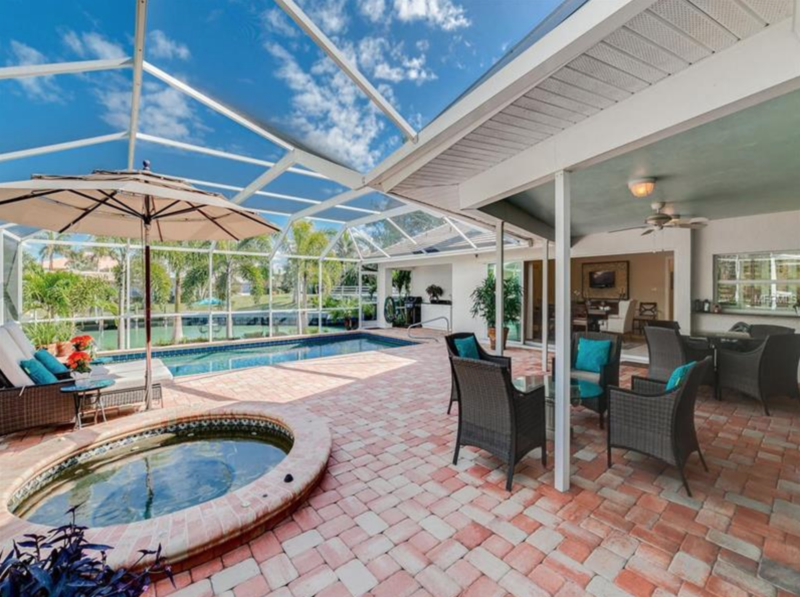 The spacious outdoor terrace boasts a heated pool, spa, wet bar, and plenty of room for entertaining! 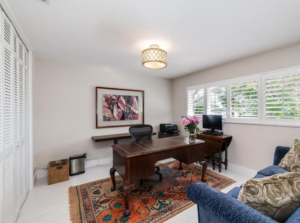 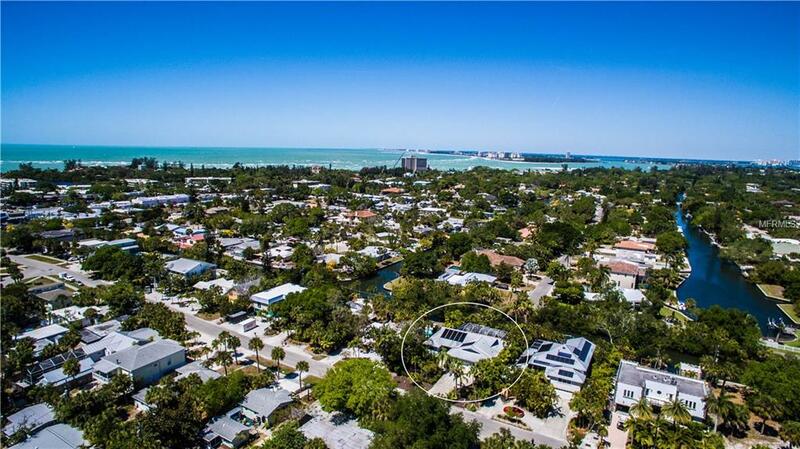 The long list of recent renovations include interior tile flooring throughout, new roof from 2016, newly replaced and fortified seawall, new pipes lined with PVC, updated landscaping with charming trails and viewing deck overlooking the water, and so much more! 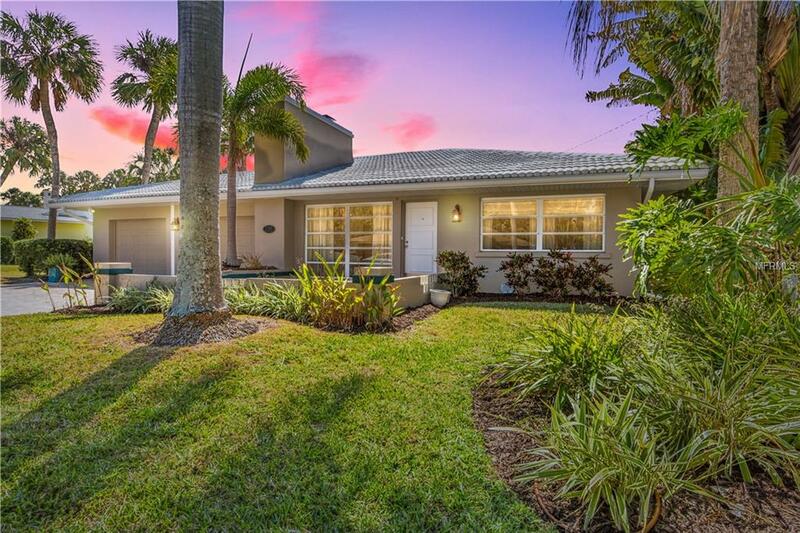 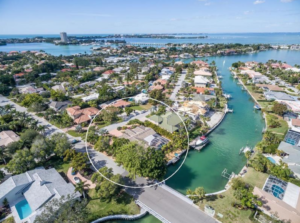 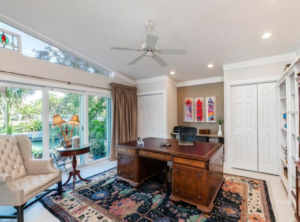 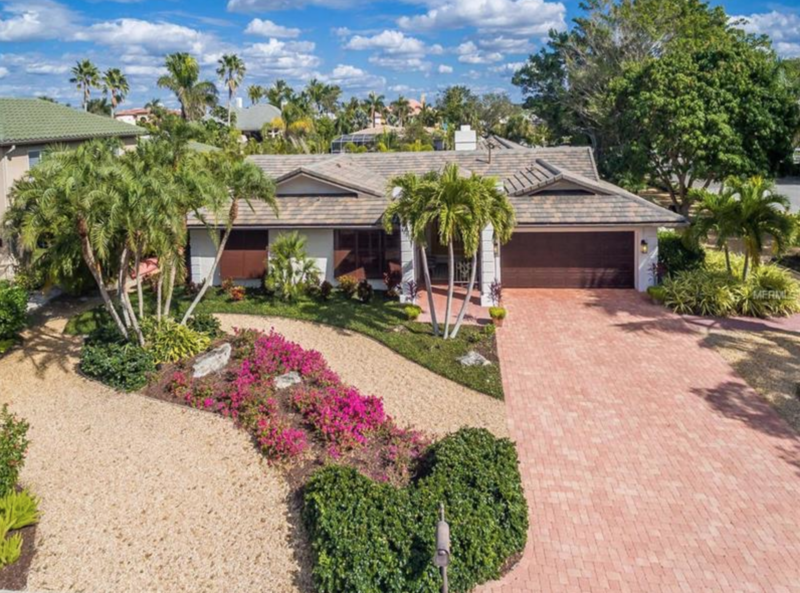 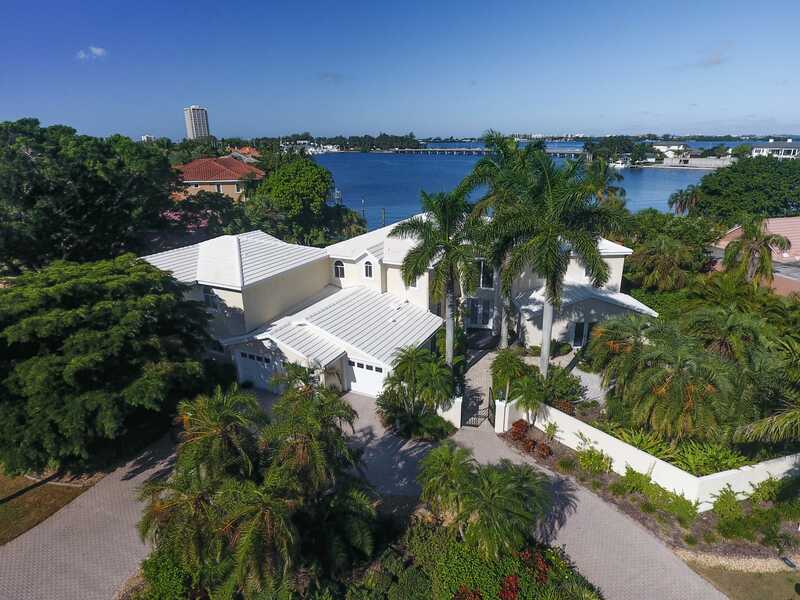 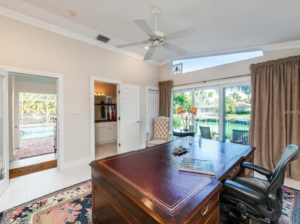 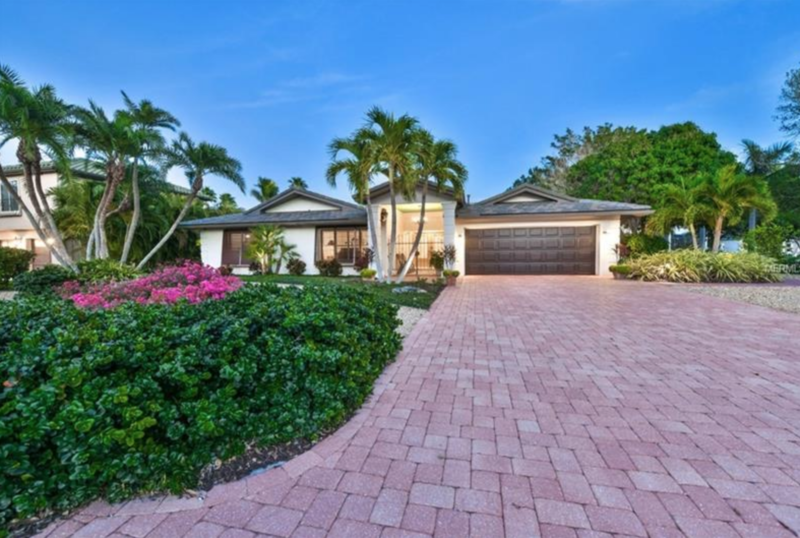 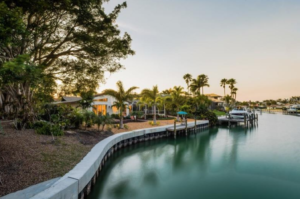 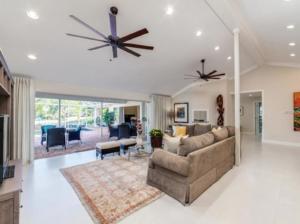 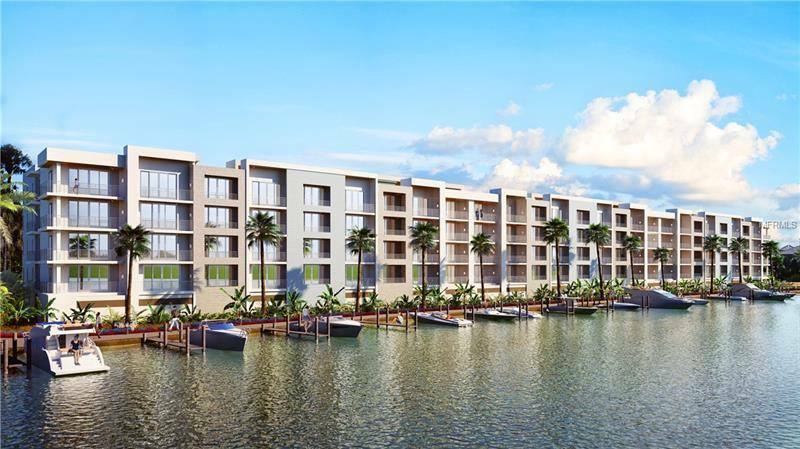 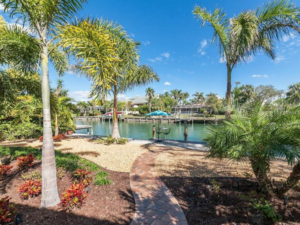 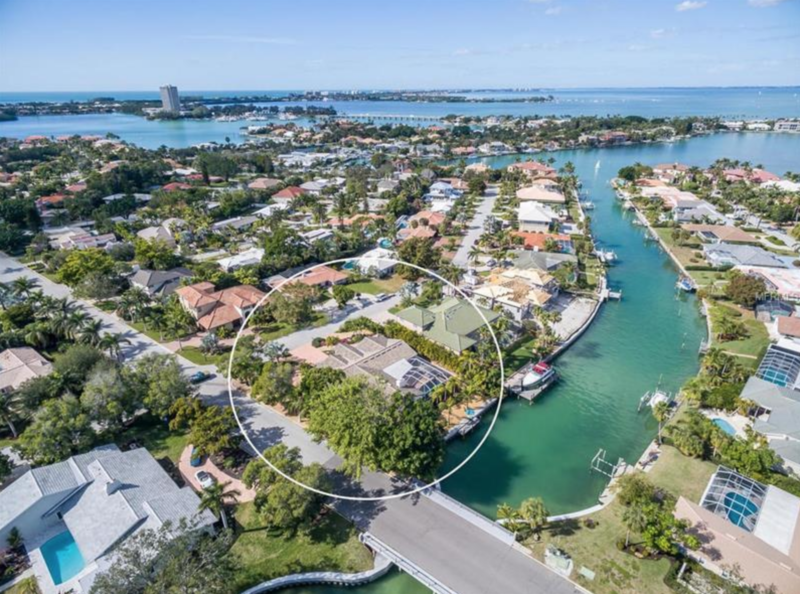 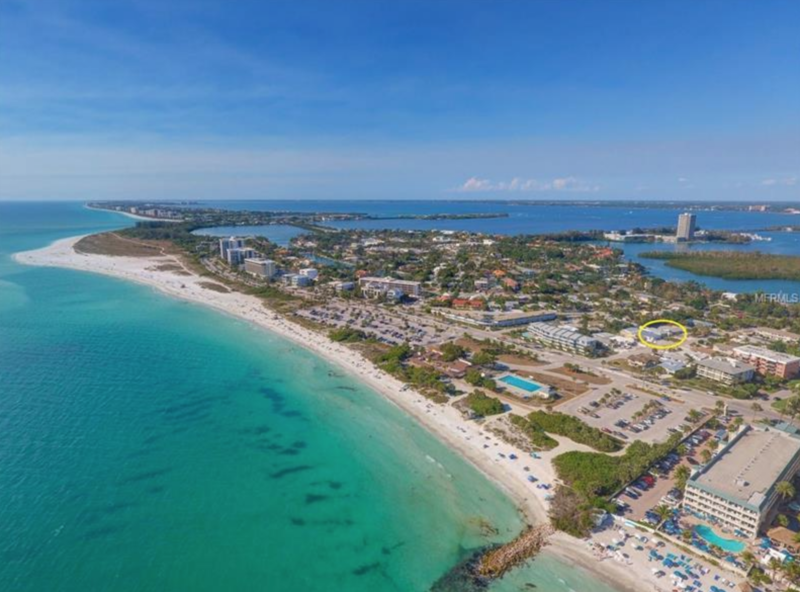 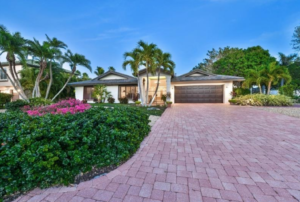 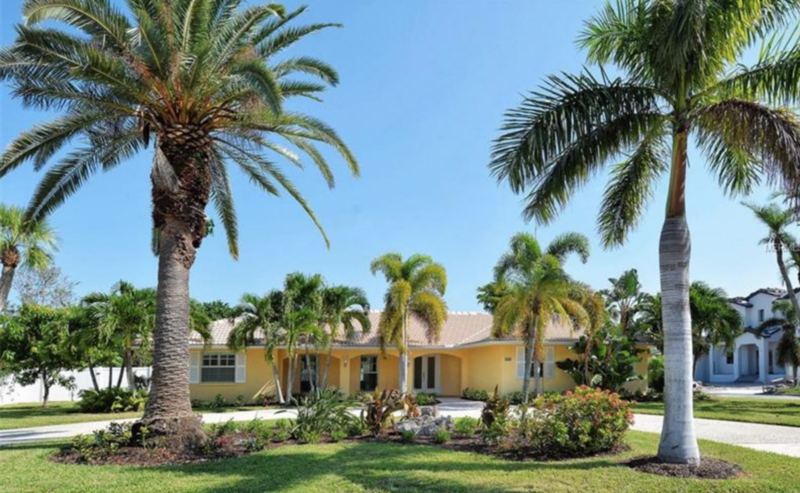 With 100 ft of seawall on Tarpon Bend, this home provides quick access to the Sarasota Bay with exquisite views of downtown and the Ringling Causeway.